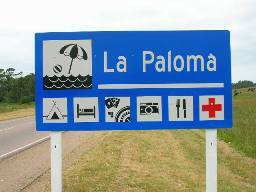 La Paloma Uruguay is one of the leading resorts in this small South American Nation. Tourists from all over the world have begun to discover the wonders of this coastal attraction and now it's popularity is rapidly making it a coveted location for a sunny holiday or weekend getaway. With beaches that extend for many kilometers along the coast of the Atlantic Ocean it is easy to see why so many people want to come and enjoy the excitement and activities at this seaside resort. La Paloma is part of the department of Rocha and it boasts of a warm climate, as well as an outstanding variety of outdoor pursuits as well as water sports that include surfing, swimming and fishing. There are many private apartments and homes, and other accommodations in Uruguay that can be rented by visitors during their stay. These range from simple beachside structures with thatched roofs to ultra modern homes that include multiple floors of living space. 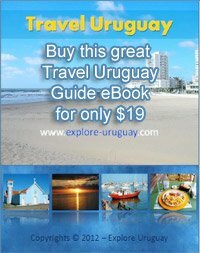 Of course you can always choose to stay at one of the many hostels or hotels in Uruguay that are also available. A number of guests who are visiting La Pedrera Uruguay, or other neighboring locations will also choose to stay at one the upscale lodging establishments. There are some luxury hotels available and you will be able to experience the ultimate in luxurious pampering if you select one of the premiere resorts for your vacation needs. It is advisable to have made your reservations ahead of time so that you will be able to get the room and hotel that you find most appealing. No matter if you stay at a private home, an apartment, a beach hut or an all inclusive spa resort you are sure to enjoy the time you spend in La Paloma. The great variety of beautiful beaches that you will find here is due to the fact that it is situated on Santa Maria Cape. There are sandy beaches with shallow, calm water for families who want their children to enjoy splashing in safety but there are also beaches known for their rocky shores and thrilling, powerful waves. Solari Beach is just one of the many popular beaches that you can explore when you visit this city in Uruguay. Fishing is very popular at this ocean front retreat and the region is known as one of the top 5 sport fishing areas in the world. If you don't want to haul in the catch for yourself you can always visit the docks and see what other top fishermen have managed to hook during their outing. Surfing, swimming and languid hours of lounging on the sandy shores are also among the activities that tourists prefer. You will be able to discover numerous shops in the city and there are also vendors that will offer handmade local items for sale. The colorful shelves at any store are too attractive and mesmerizing to ignore. You should be sure to look for woolen and other cloth items such as Manos del Uruguay that are made by hand as most of these are of exceptional quality and are created by the finest artisans in the country of Uruguay. Restaurants, clubs and live music are all waiting to entertain you during your stay in, Uruguay. For people who are interested in exploring the past a visit to the city's history rich La Paloma Vieja region will be a pleasing fit and a perfect time to get a closer look at the Lighthouse which is a famous Uruguay attraction. Dedicated surfers and thrill seekers can explore the high and fierce waves at La Aguada or Costa Azul. Whatever your tastes and passions this is a seaside resort community that definitely has something that will please everyone.